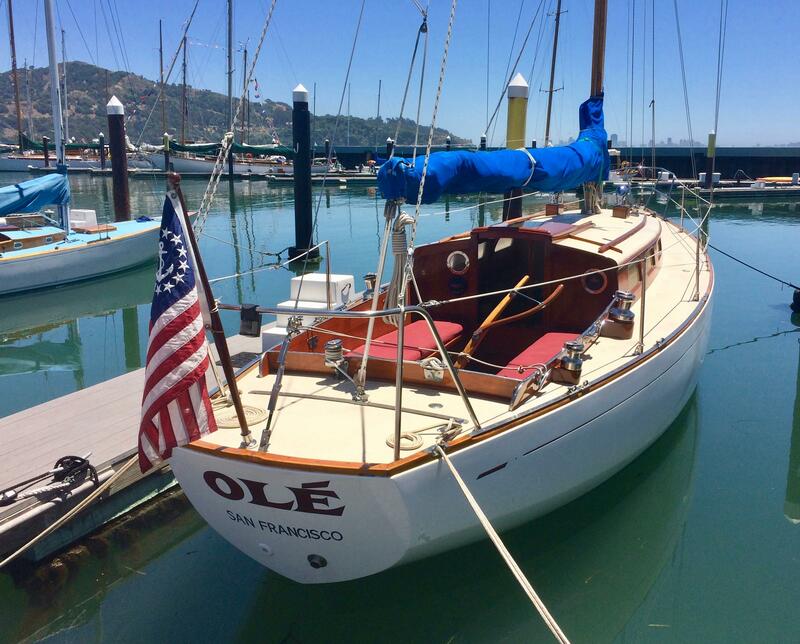 "OLE'" is a classic 36' sloop design from Bill Lapworth, restored to pristine "Bristol" condition with attention to all details. Systems have been upgraded, finishes and materials fresh and well maintained. This yacht was originally built by Carl Chapman and Rolly Kalayjian in Costa Mesa, CA, and has been actively sailed in the Bay area, with coastal cruising and a memorable trip to Hawaii in her resume. 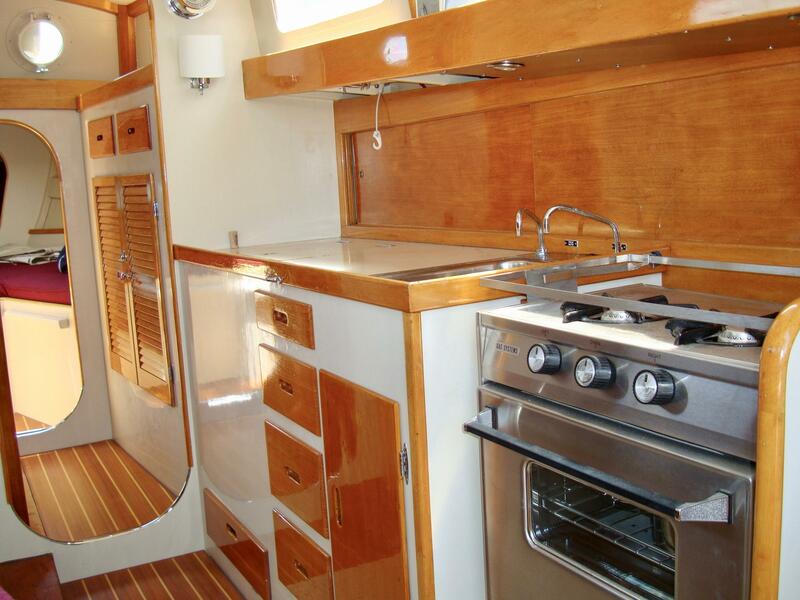 Cared for by seasoned sailors this fine yacht is an award winning Master Mariners entry for it's next owner to sail with pride. 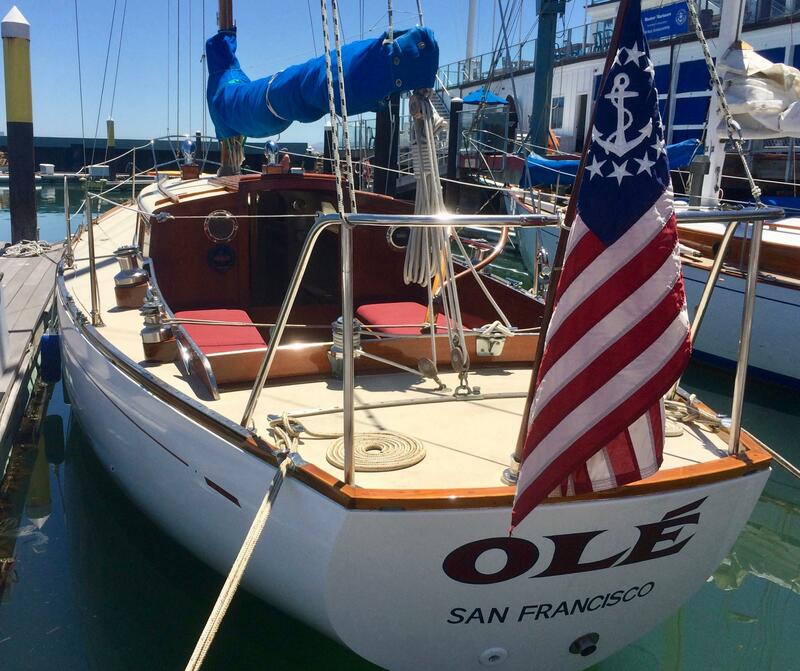 "OLE'" is a 36' sloop design from Bill Lapworth and built by Carl Chapman and Rolly Kalayjian in Costa Mesa, CA. 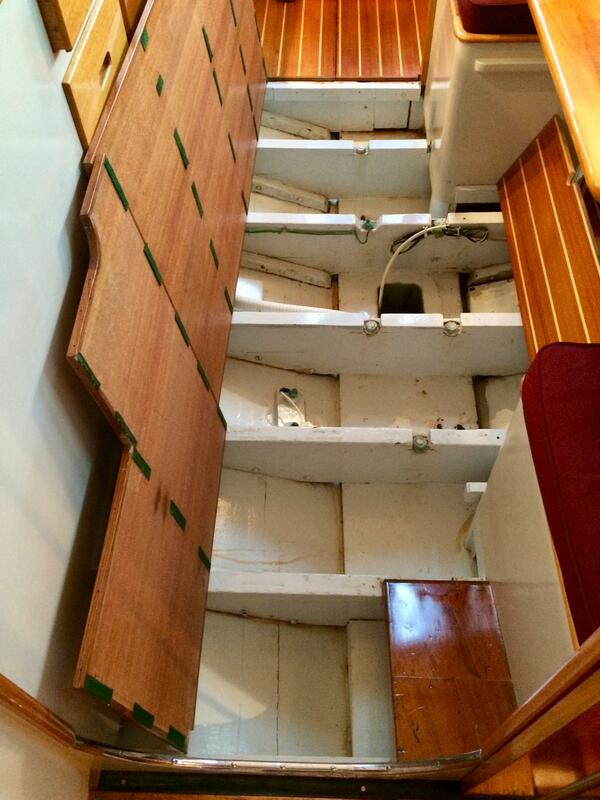 It is stripped planked hull using mahogany planking glued and fastened on edge and fastened to steam bent oak frames with bronze screws. 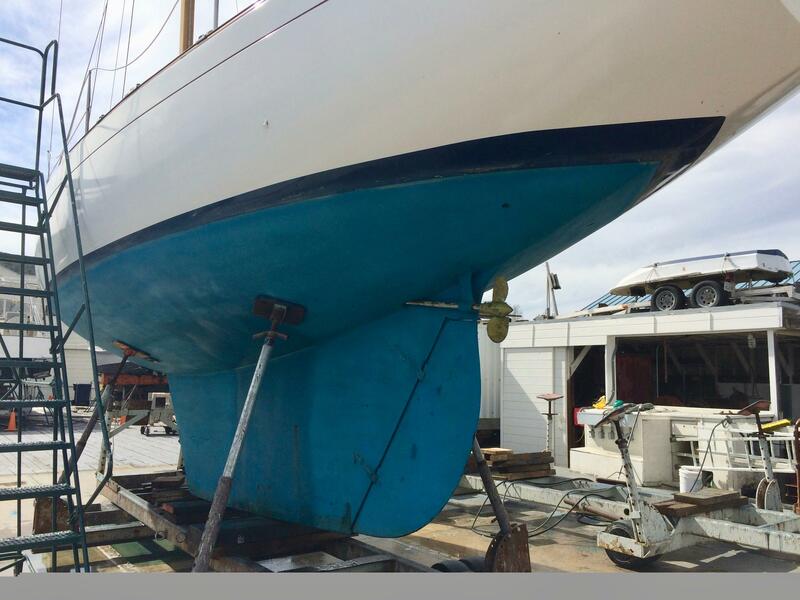 In 2006 the hull was refastened and then covered with multiple layers of fiberglass from the waterline to the keel. Deck and cabin top are plywood covered with fiberglass. Cabin sides are varnished mahogany. The cockpit sole is teak planking. 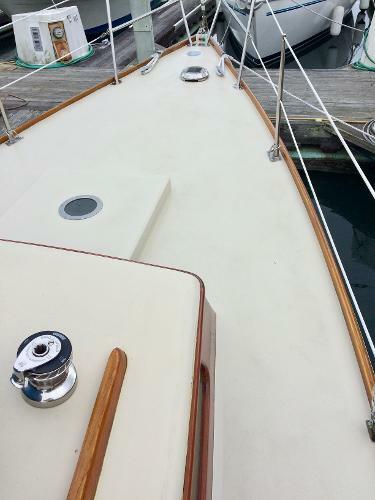 This vessel is one of the few older wood boats that has been continually maintained in a professional manner and is structurally sound. 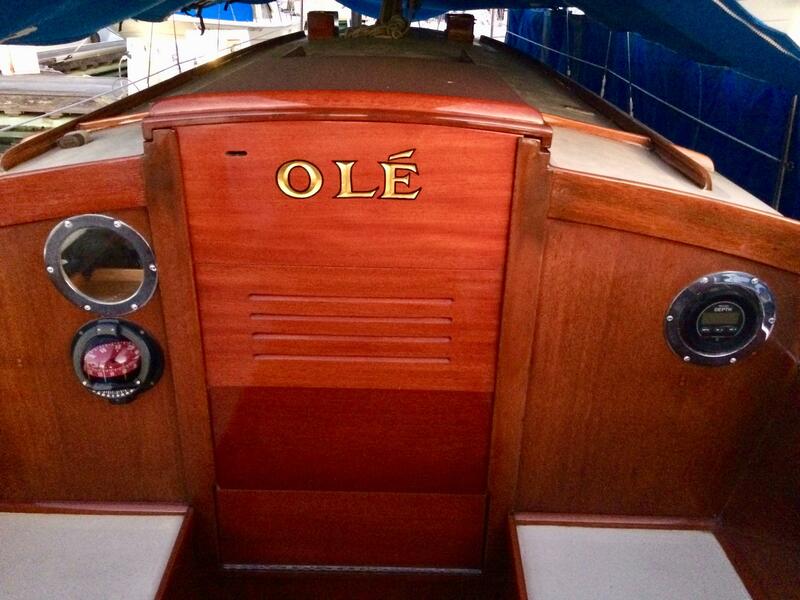 Olé was built in Costa Mesa, California in 1960 and is hull #63 out of 72, according to L-36.com. Just why the number 7 was held in reserve for her weâ€™ve never learned. 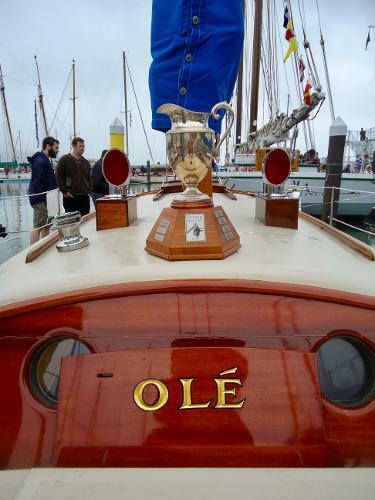 OLE' was raced in the San Francisco YRA when six to eight L-36â€™s would regularly hit the starting line in the mid 1970â€™s. In 1976 OLE' was sailed to Hawaii and proved to be a fine boat at sea. In 1977 OLE' was shipped back to Oakland on a Matson freighter. 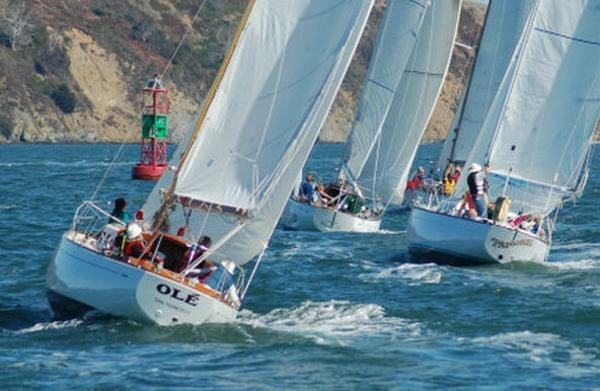 Being able to race in the Master Mariners Regatta and participate in the Wooden Boat Show has provided the class with a focal point for the energy and time to keep the L-36 class active and the boats maintained. Around 20 years ago, boatwright Jim Linderman was engaged to undertake a year-long deep dive into the structure, systems and cosmetics of the boat to assure that she would be around for decades to come. Recognition came in 2004 and again in 2013 with OLE' winning the Wooden Boat Showâ€™s Stone Cup for the â€œBest Preserved or Restored Yachtâ€. 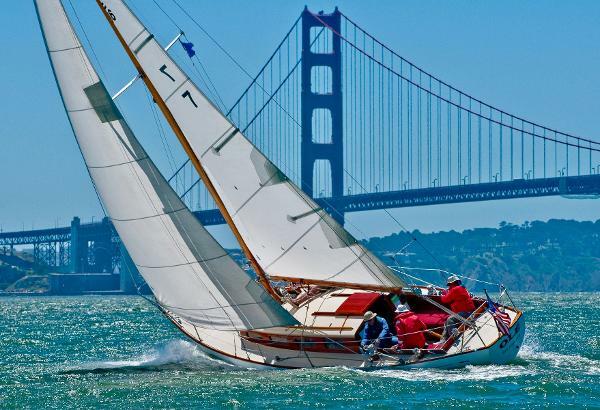 Neil Pride main and 150% genoa, recut 110% jib, Sutter storm jib, 1960 155% drifter, nine stainless Anderson self-tailing winches, floating handles, Ronstan N/M turning blocks, spectra halyards, custom jib track cars, Shaffer stainless main & boom track. New transom, cockpit aft bulkhead, second lazarette hatch with screen, teak cockpit sole and engine hatch, main hatch and slides, hatch slide envelope, cockpit seats, bow and stern pulpits, stanchions and lifelines, all through-hull fittings, aft-most keel bolt, solar powered forepeak vent, hull below waterline completely refastened and fiberglassed. 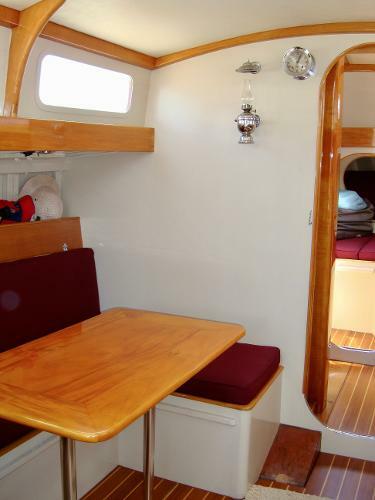 New cabin and cockpit cushions, primavera mahogany cabin table, teak and holly cabin sole, overhead liner. Interior repainted and varnished. New fresh and saltwater Whale foot pumps, anti-syphon loop on drain. 1970â€™s two-burner gimballed propane stove with oven. 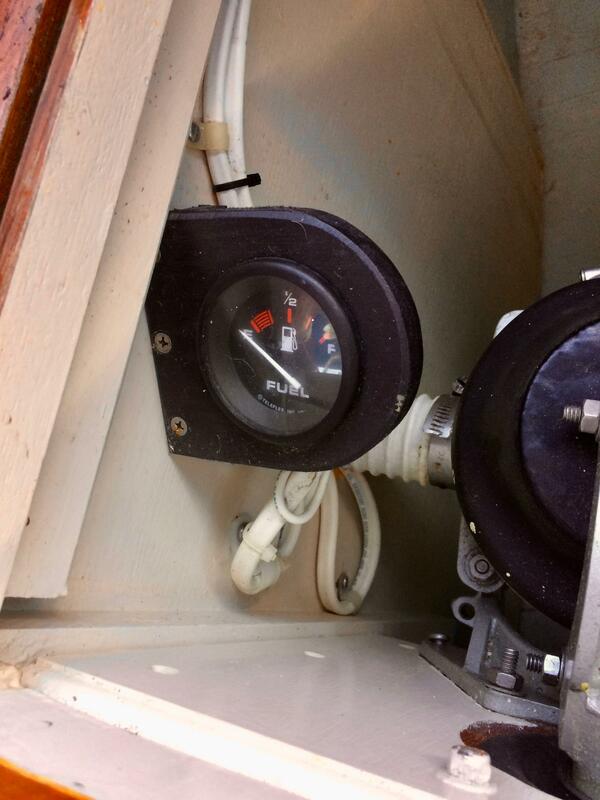 Two propane tanks mounted in externally vented cockpit set locker with Marinetics solenoid shutoff switch. 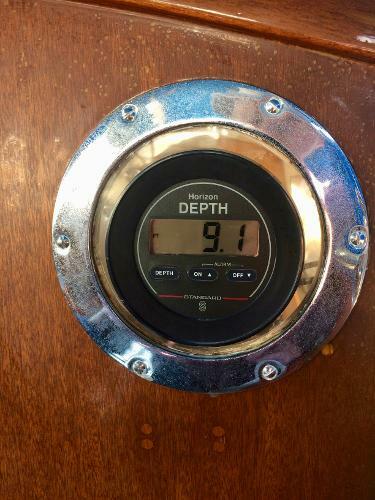 One tank currently off the boat. 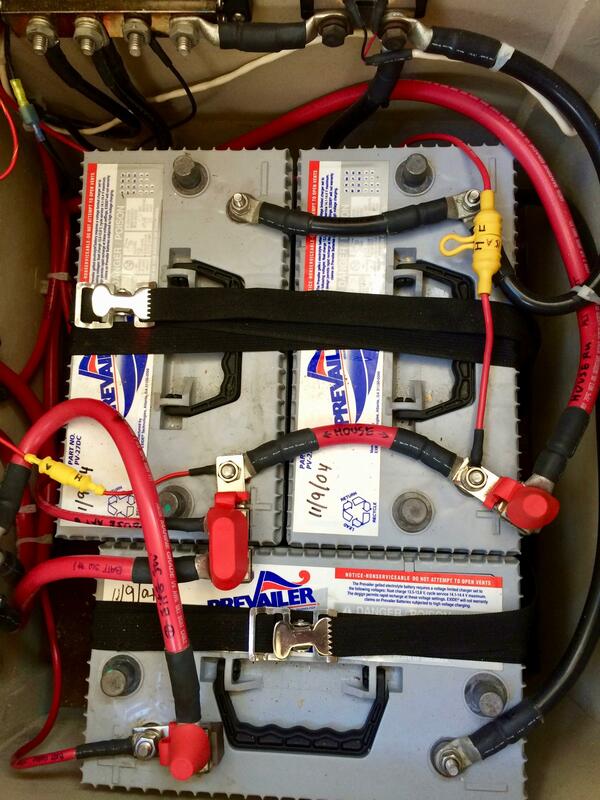 New Wilcox & Crittenden head, 20 gallon Todd plastic water tank, fresh water hoses, head sink and Whale foot pump. 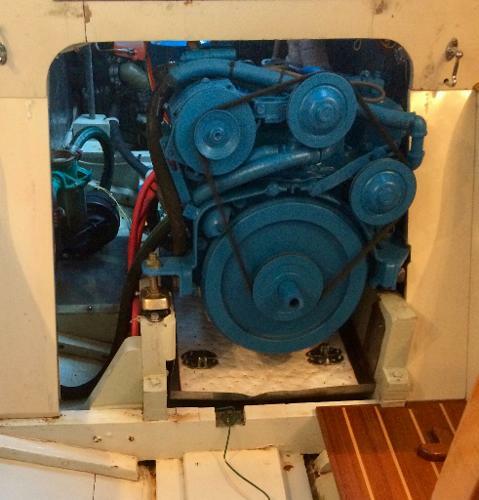 New Grey Marine engine 31 HP gas engine, exhaust system including Aqualift silencer, blower, gas and water filters, 10 gallon plastic gas tank and gauge, 2 blade 13â€ feathering PYI MaxProp propeller, shaft, shaft log, cutlass bearing, throttle and choke cables. 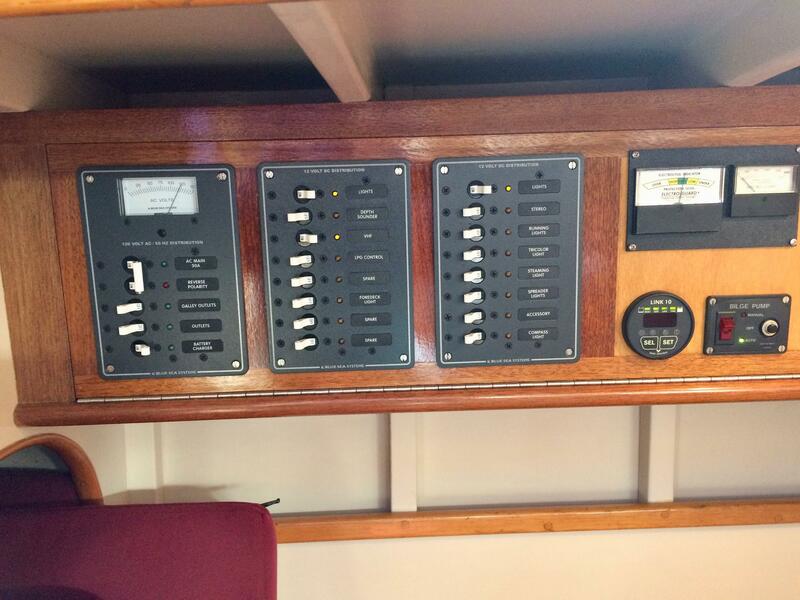 New wiring, including mast, wiring for cabin music, Blue Seas Systems AC and DC electrical panels, Xantex Link 10 battery bank monitor gauge, 12v under-deck cabin lighting, 12v DC and 120v AC outlets, CAD schematics, Professional Mariner ProTech-4 battery charger, Guest galvanic isolator, 3 new 12v batteries ready to be installed, Cole-Herse battery selector & disconnect switch, Electro-Guard galvanic protection system, fully bonded through-hull fittings, propeller and rudder post, pintles and gudgeons. 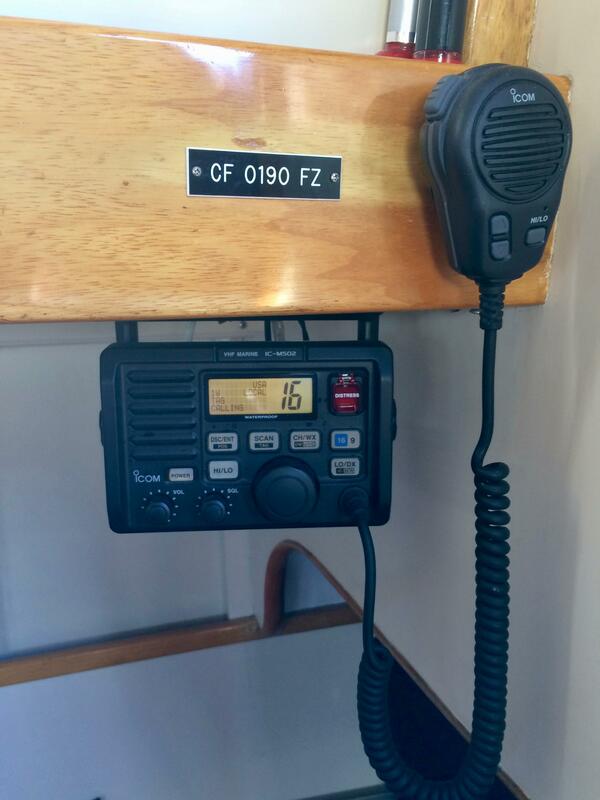 New Icon IC-M502 VHF Radio, Horizon DS45 bulkhead fathometer. New Richie bulkhead compass, New Fortress FX-16 aluminum magnesium alloy anchor, 5/8â€ nylon anchor rode in anchor rode bag and 5/8â€ stainless steel chain in nylon bag. Boom vang. Removable chocks for carrying an inverted dinghy on the cabin top. Spinnaker pole, reaching strut and all deck and mast hardware (not currently installed). Plans from C. William Lapworth. 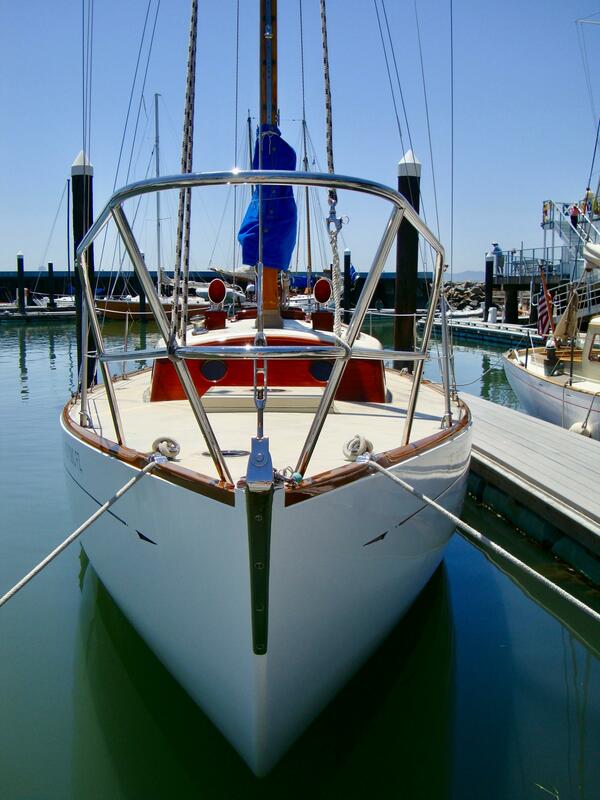 All standing rigging, including turnbuckles and backstay adjuster, Vetus engine mounts, PYI Packless prop shaft sealing system, Fireboy engine compartment automatic fire extinguisher. 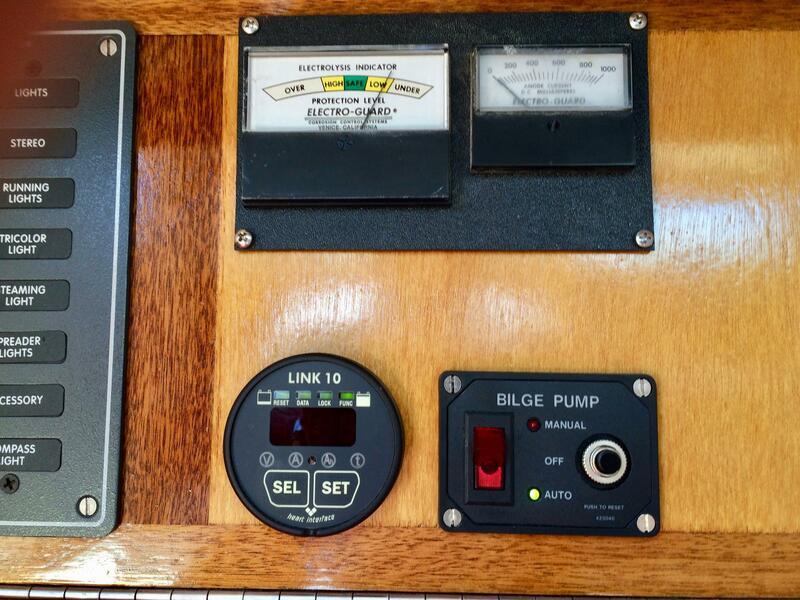 After an article in YACHTING Magazine, L/36 #1 and #2 were ordered from Carl Chapman & Rolly Kalayjian in mid-1953. 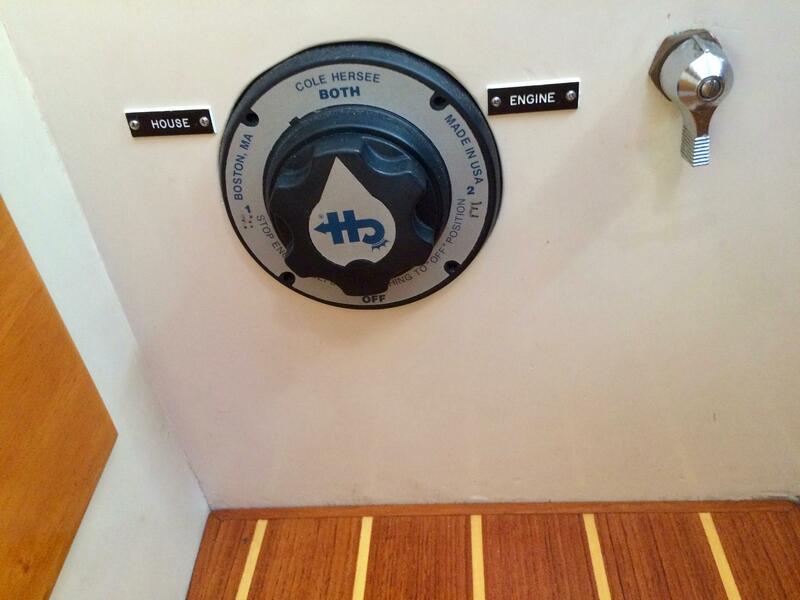 Both boats were built alongside each other, upside down, at the C&K boatshop in Costa Mesa. A coin was flipped, and the #1 designation went to George and Millie Griffith who named their boat CASSANDRA and finished off the interior themselves. #2 went to Bob and Harriet Allan and was christened HOLIDAY. HOLIDAY ("nothing goes faster") was finished and launched first, in the spring of 1954, at Rosan's Boatyard in Newport Beach. After launching, HOLIDAY's Gray Marine engine's forward gear did not engage, and she was motored down Newport Bay in reverse with a celebratory party aboard. The predecessors to the L/36 were Lapworth's original design from 1949, the 28' LWL FLYING SCOTCHMAN, and the smaller design, the Lapworth 32. 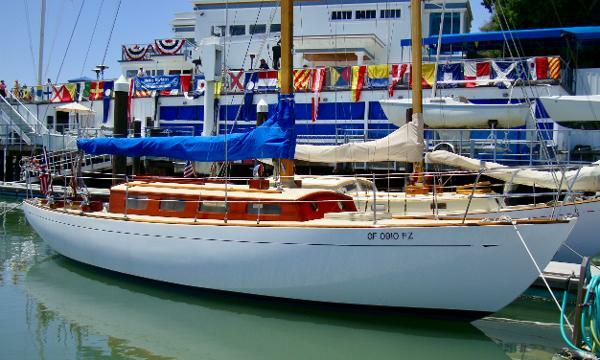 Along with FLYING SCOTCHMAN (Porter Sinclair), three of these 32 footers lived in S.CA: The red DANCER, the white DASHER (Warren Blinn), and the light blue VIXEN (Frank Rice.) Shortly after HOLIDAY's launching in'54, the 46 foot "pregnant whale" NALU II (Peter Grant) was launched. NALU was also a Lapworth design and successful TransPac racer which had extreme reverse shear, so high, that a step ladder was needed on the dock to climb aboard. 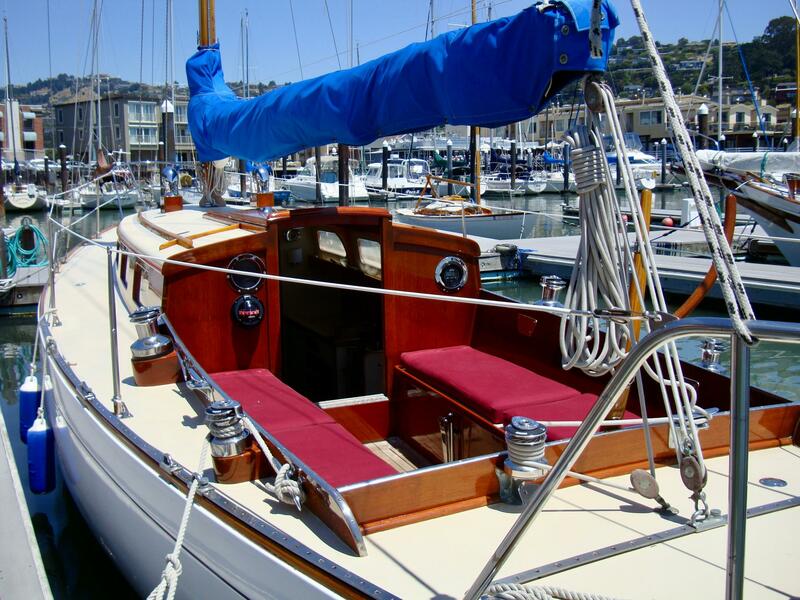 A critical dimension of the L/36 design was the waterline length of 28 feet, so chosen by Lapworth, Griffith and Allan, as it was, at the time, the minimum LWL eligible for the TransPac Race. CASSANDRA and HOLIDAY both had short, 3 window cabins that ended just behind the mast. 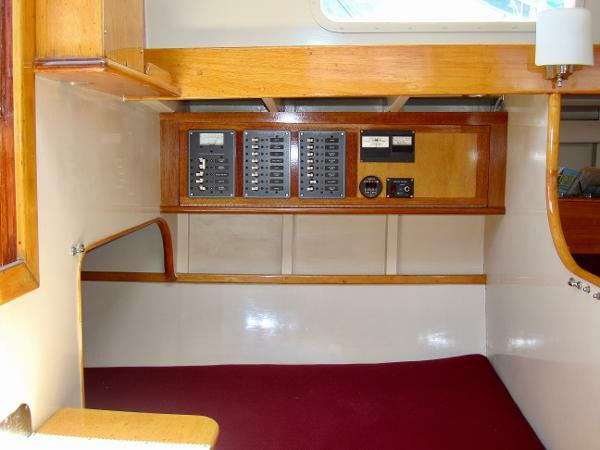 This had the benefit of making the boat lighter than later built L/36's. 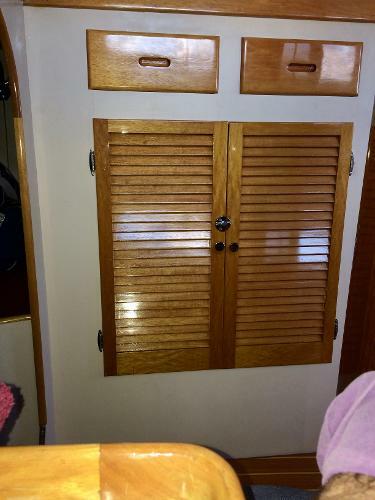 The compromise was a tiny, dark, and kneeling only, head on the port side, forward of the mast, that smelled and the wives really did not like. L/36 #3, MISTRAL had a longer, 4 window cabin, and standing headroom in the head, lit and ventilated by the forward (opening) port. 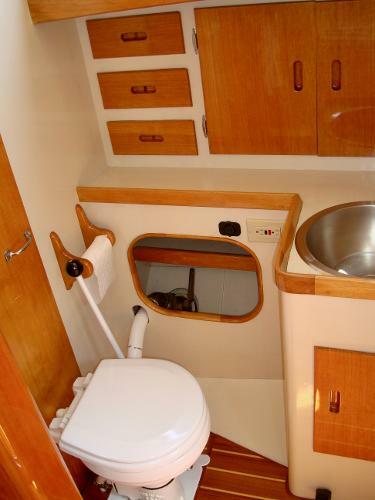 This comfort feature sold many L/36's. CASSANDRA and HOLIDAY raced local S.CA races 1954-1960, the Whitney and Ahmanson Series, and alternately won almost all the races they entered. Their main competition came from Ash Bown's Owen's Cutter CAROUSEL from San Diego, and the newer K-40's. 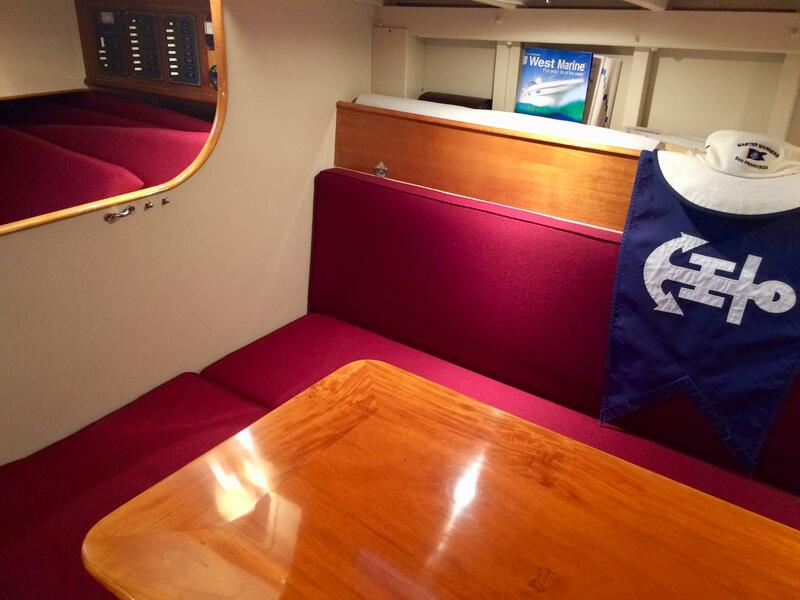 When not racing, CASSANDRA and HOLIDAY were family cruising to Catalina. Both boats had alcohol stoves that regularly caught fire, and the flaming stoves were tossed overboard at Howlands and Moonstone coves, to be retrieved by diving the following morning by myself or brother Scott. Once rinsed with fresh water, these stoves were good for another go, and then usually another fire. I have hanging on my wall half models of the L/36 and the Cal-40. 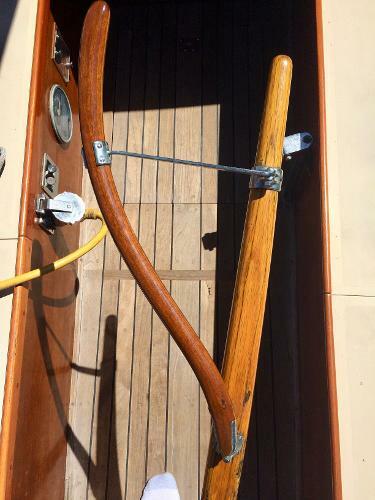 Except for the keel hung rudder of the L/36 and the spade rudder and fuller bow of the Cal-40, it is interesting how similar these designs are. I like to think the L/36 was the logical predecessor of the Cal 40. George Griffith, besides being a friend of Lapworth, helped design and owned Cal-40 #1. In later years, it was argued between Griffith and Lapworth who was responsible for the spade rudder idea. Evidently, the idea was not Lapworth's alone. Both George Griffith and Jack Jensen pushed Lapworth for the spade rudder, and the first Lapworth design to feature this revolutionary idea was the Cal 28, built by Jensen Marine. See also Allen Edward's L-36 website: www.L-36.com which contains a mountain of really useful stuff. 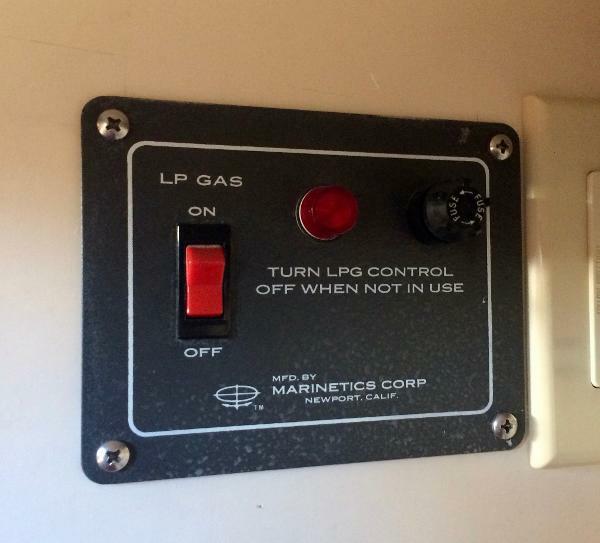 Allen owns L-36 #5, Papoose. 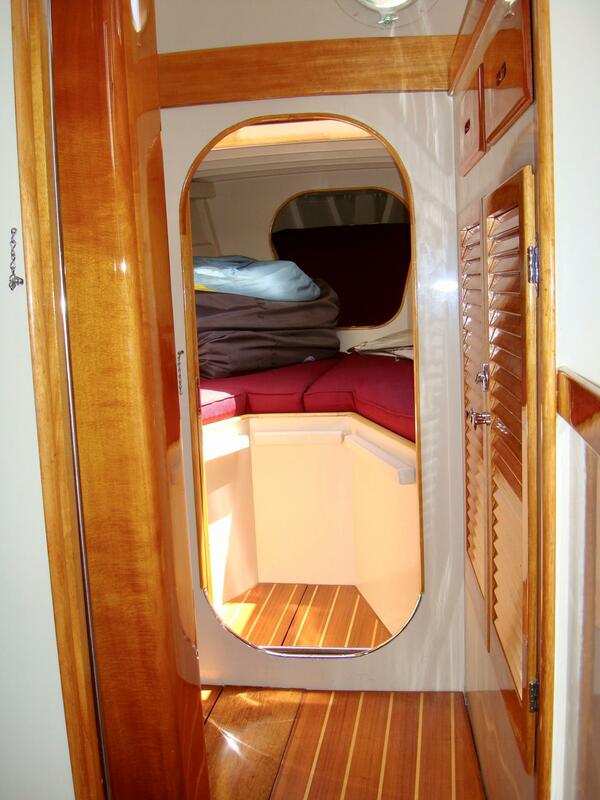 In particular, see the Latitude 38 Boat of the Month for May 2004 at http://l-36.com/bom.php.